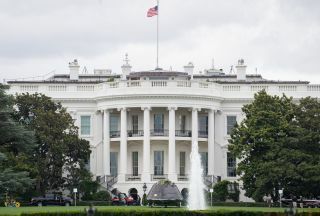 An Orion capsule that NASA flew during a test flight in 2014 visited the White House July 23, 2018. As the federal government shutdown nears its fourth week with no end in sight, some NASA employees gathered in Houston to protest the consequences of the budget impasse between Congress and the White House, according to reporting by the Houston Chronicle. The Texas city is home to the agency's Johnson Space Center (JSC), which employs more than 3,000 people. A small fraction of those employees are still working, since the center includes the agency's astronaut office, which provides vital support for the three crewmembers currently living on the International Space Station. "My reserves are running out," one protestor told the Houston Chronicle. "All we want is our pay day." Staffers working with the International Space Station residents and tending to active spacecraft are mostly still working, since those tasks are considered necessary to protect the agency's property.